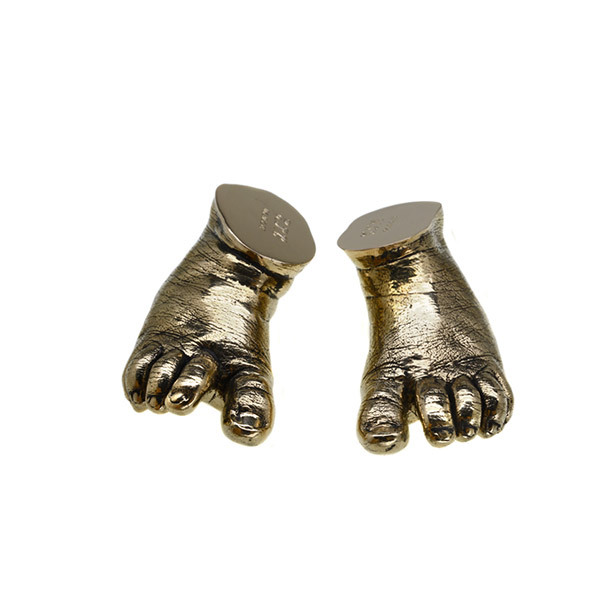 A pair of polished bronze cast baby feet. This is a wonderful way of creating a timeless reminder of your baby – it is such a pleasure to hold them and think back to how tiny they once were! We can engrave the flat surface with whatever you choose such as names, initials, date of casting and dates of birth. The casts come with a slate display base that we can also engrave. 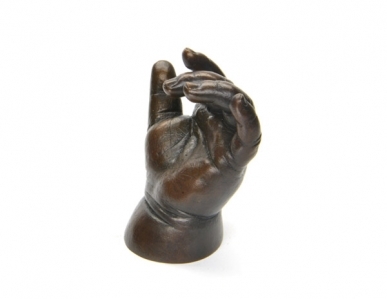 This image shows a pair of polished bronze cast baby feet. Please see the castings section of the website to see examples of patinated bronze, silver, gold and nickel plating, solid silver, solid gold and glass. 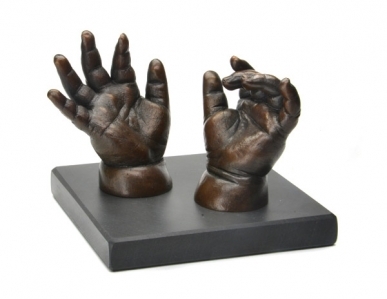 Prices start at £795 for a pair of polished bronze baby feet or hands for a 0-6 month old baby. Please contact us for prices for older babies and children.